This watch is also known as: GTQ077YGNN0999C , GTQ077-YG-NN0999-C , GTQ077.YG.NN0999.C . 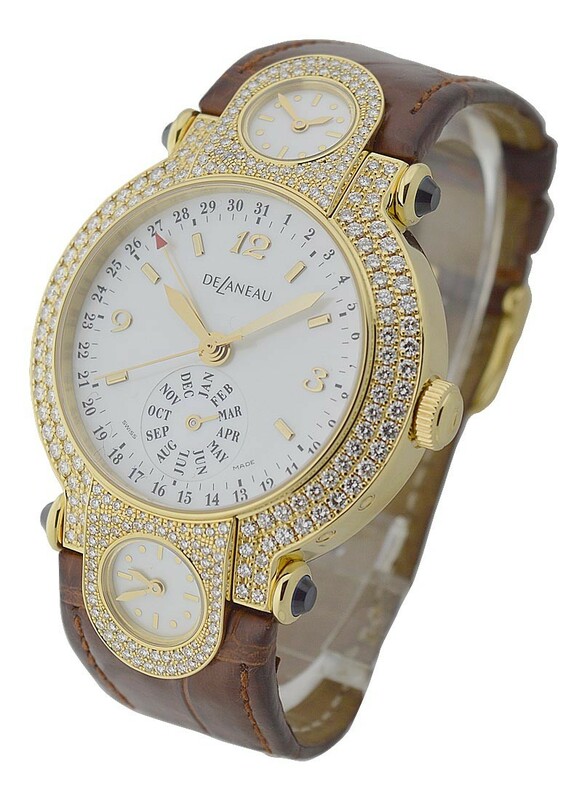 Noted for creating jeweled rare beauties for women, De Laneau launched the Delaneau Yellow Gold "Three Time Zone" ? Calendar (ref GTQ077 YG NN0999 C), which comes as a symbol of total splendor. The Deleaneau timepiece is embellished by a diamond paved bezel in 36.75mm 18kt yellow gold case matched with a brown leather strap. Its mother of pearl dial and subdials are accented by gold hands and markers, displaying a touch of class that could only come from a Deleaneau. 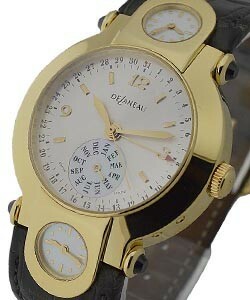 The Delaneau Yellow Gold "Three Time Zone" ? Calendar (ref GTQ077 YG NN0999 C) also features precise automatic/quartz movement and a tough brown strap with a sturdy clasp, for a nice comfy fit. A work of art is a piece done with passion and intricacy and the Delaneau Yellow Gold "Three Time Zone" ? Calendar (ref GTQ077 YG NN0999 C), with its stunning appearance and useful features, certainly fits that category.